I haven't blogged in a while as I have been so busy working and doing bits and pieces, I was also busy planning my last minute Summer holiday, the first in over 2 years and of course buying extra things I probably did not need...I went to Laganas in Zante (Zakynthos). Zante is a greek island and is the perfect combination of a beautiful island getaway with enough places to go wild at night! I had an amazing time and had relaxing days by the pool and on the beach, along with loads of fun going out in the evenings! Definitely suffering now for it though as I am not very well. Me and my friend also rented a quad bike for the day, which was hilarious! I definitely recommend the island as it is beautiful and there are different resorts perfect for different types of holidays. The weather was gorgeous the whole 10 days we were there and I got nicely bronzed, which always makes me happy! In regards to beauty and holiday prep I had a Jessica Geleration manicure before I went away, which a is gel nail varnish meant to last 2-3 weeks without chipping, mine didn't last this long but nothing ever seems to on me! I also bought Hawaiian Tropic sun tan lotion as I think it smells incredible! I took SPF 15 and 30 and a SPF 25 No.7 one I had already for my face. I took all the makeup and hair products I thought I'd need and luckily was still within my 20kg baggage limit, but it was a very close call! I am the worst holiday packer ever! 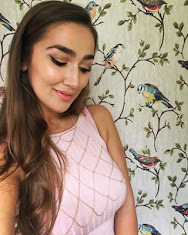 It is my 21st birthday on Wednesday, which I am very excited about and I will do a post about any goodies I get next week :) I will going out for dinner on Wednesday but celebrating with all my friends on Saturday which I am really looking forward to...still need to find a new dress and time is ticking! Any recommendations of online shops I can look at as I am not well enough to shop yet!? I've searched on all the usual suspects like ASOS and Topshop but I struggle because I am quite tall and lots of places dresses are just too short like Missguided etc. Have any of you been to Zante? What did you think? & Do any of you have any suggestions for a birthday dress for me where I would have it by Saturday?! Got to keep nail varnish standards up on holiday too! One drink in each hand...standard. Pina Colada made a nice change to sickly fruity cocktails!